This entry was posted in Meat dishes, Offal and tagged cooking, food, meat, offal, pork. Bookmark the permalink. Ooh, now that looks superb! I can picture that for breakfast along with a glass of black velvet. 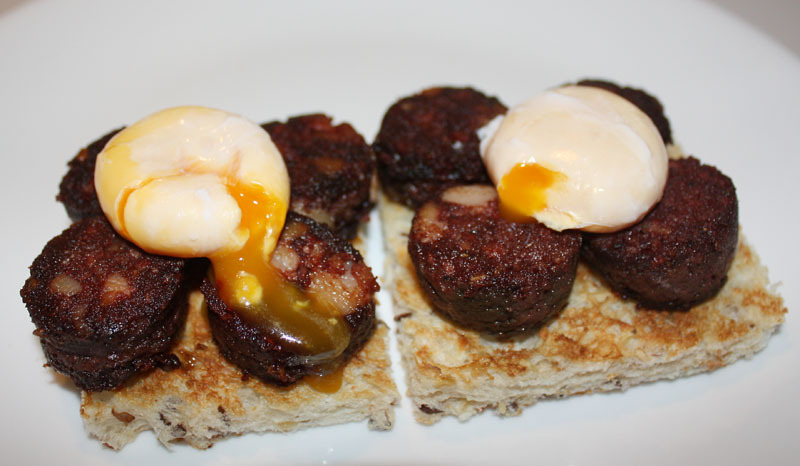 After what you had at Hokitika, surely a bit of black pudding is tame.